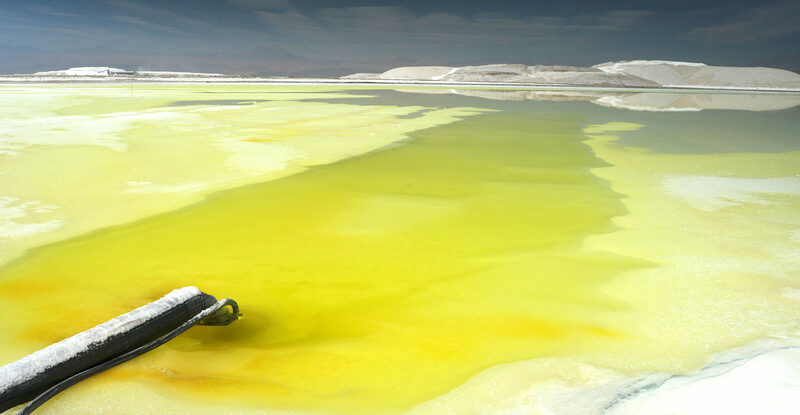 A pond to extract lithium from salt in Atacama Desert, North of Chile. Credit: Diego Giudice / Alamy Stock Photo. Clean energy technologies often rely on certain key metals which will be needed if they are to continue to expand. Two metals in particular, lithium and cobalt, have seen supply chain fears in recent years, although many other metals are used. Lithium, a soft, silvery-white metal which is also the lightest in the periodic table, is a crucial ingredient of lithium-ion batteries. These are used in everything from smartphones to electric vehicles (EVs), now their biggest consumer. The lithium-ion battery is the battery of choice for most car makers, including Tesla, BMW, Ford and Nissan. Cobalt, a silver-grey metal produced mainly as byproduct of copper and nickel mining, is another essential component of the cathode in lithium-ion batteries. It also has diverse uses in other industrial and military applications. Nickel is another ingredient needed for batteries and is expected to form an ever-larger proportion of future batteries. Nickel is already widely used elsewhere, notably in stainless steel production, and mines are distributed among many different countries, meaning there is less concern over its supply. Manganese is also used in batteries, as well as being an essential ingredient in steel and widely used elsewhere, such as in animal feed. Copper is used as a conductor for wind power, as well as general wiring, motors and in coins. Both copper and manganese are among the most widely extracted metals in the world. Rare-earth metals, also known as rare-earth elements (REEs), are a group of 17 chemically similar elements. Each has unique properties, making them important components for a range of technologies from low-energy lighting and catalytic converters to the magnets used in wind turbines, EVs and computer hard-drives. Neodymium and praseodymium, known together as “NdPr”, which are used in the magnets of electric motors, have particularly been in the news lately, due to rising demand and prices. Reports from both the US Department of Energy and the European Union have labelled REEs, cobalt and several others as critical materials, based on their importance to clean energy, high supply risk and lack of substitutes. Many other metals are used to a larger or smaller extent in clean-energy production and low-carbon technology. Indium and gallium, for example, are used in the coatings of photovoltaic film and have also been identified by the EU report as critical materials. A World Bank report released last year counted dozens of metals which could see a growing market with the rising use of wind, solar and batteries. The grid below, from the World Bank, shows the metals explored in its scenarios and their uses in different low-carbon technologies. Matrix of metals and energy technologies explored in World Bank low-carbon future scenario study. World Bank 2017. Of course, these metals will not only be used for low-carbon technologies, but everything from smartphones to weaponry. It is widely acknowledge that a swift ramp up of low-carbon technologies will be needed in order for the world to meet the Paris Agreement’s goals of limiting warming to “well below 2C” and to strive for 1.5C. A separate 2017 report from the UN Environment Programme (UNEP) had a similar finding. It calculated low-carbon technologies would need over 600 million tonnes (Mt) more metal resources up to 2050 in a 2C scenario, compared to a 6C scenario where fossil fuels use continues on its current path. However, it also said the 2C scenario would save more than 200bn cubic metres of water a year and use nearly 150,000 square kilometres less land overall. Reserves and resources: The quantity of a material thought to be potentially recoverable from underground is known as the resource. The part of the resource thought to be commercially recoverable, using current technologies, is known as the reserve. It is impossible to pin down the balance of technologies – and, thus, metals – which will be used over the next 30 years. But some analysts have warned that there could be a shortage of lithium and cobalt as the use of lithium-ion batteries in energy storage and EVs increases. There are also fears over a “boom and bust” cycle developing for REEs, such as neodymium. In order to assess the possibility of a shortage, it helps to look at availability estimates provided by the US Geological Society (USGS) of more than 100 minerals and metals, including many of the metals key for low-carbon technologies. The USGS puts cobalt production in 2017 at 110 thousand tonnes (kt), with reserves of 7,100kt. This mean current extraction could continue for 65 years using current reserves. Cobalt consumption by the battery industry in 2016 was around 48kt, just over half of the total 94kt consumed for all products. This consumption is expected to grow in the coming years. Metals supplier Darton Commodities has said it expects demand for batteries to reach 74kt per year by 2020. Consultancy Wood Mackenzie forecasts growth to 98Kt per year by 2022. Similarly, Caspar Rawles, a market analyst at Benchmark Minerals Intelligence, said his firm considers it will more than double to 127kt per year by 2025. This would mean cobalt demand from batteries alone would exceed current production. Research from commodities analyst CRU for Glencore, the world’s largest cobalt producer, has found that meeting the Clean Energy Ministerial target of 30m electric vehicle sales by 2030 would require 314kt of cobalt per year by 2030 – over three times 2017’s demand for all uses. At this rate, current reserves would last 23 years. It is worth keeping in mind, though, that reserves are only a working inventory of how much of a mineral is thought to be economically extractable at the current time. This is very different to the total potentially extractable “resource”. New supplies of minerals will come from resources which become extractable as technologies and prices change, as well as from currently undiscovered supplies and recycling. The USGS notes that copper reserves, for example, were estimated at around 280,000kt in the 1970s, but are now estimated to be 790,000kt, even though 520,000kt of copper has been produced since. The world has 25,000kt of identified terrestrial cobalt resources, more than three times current reserves. Some of these could become economic to mine if demand increases. They are also rapidly expanding, almost doubling in the past five years from 15,000kt in 2012. The prospect of deep-sea mining of cobalt could reportedly open up over 120,000kt more (see below). For lithium, around 43kt were produced in 2017, according to the USGS, with 16,000kt of reserves. This means extraction at its current rate could continue for 372 years with current reserves. Lithium demand is also expected to increase rapidly, however, driven by its use in batteries. Deutsche Bank thinks electric vehicles, electric bikes and energy storage will together account for 58% of lithium demand in 2025, up from 15% in 2015. Goldman Sachs expects total demand to quadruple by 2025. Demand for lithium is relatively new, as is major exploration, and production has risen by 70% over the past 10 years. Reserves are also rising, increasing from 4,100kt in 2007 to 16,000kt in 2017. Identified resources have also risen from around 14,000kt in 2007 to 53,000kt in 2017. Bloomberg New Energy Finance (BNEF) has found lithium supply for batteries is “just not an issue”. Demand for nickel in batteries is also expected to boom in the coming years. USGS data shows 2,100kt was produced last year, with 74,000kt of reserves. Extraction of current reserves could continue for around 35 years at this rate, and around 70 years for all known land resources, although further nickel resources are found on the ocean floor. While there has been less concern over nickel shortages than for lithium or cobalt, Wood Mackenzie has warned sourcing nickel for EV technology will be a challenge as most new supplies coming on stream up to 2025 will be types of nickel unsuitable for use in batteries. Copper, meanwhile, is already produced in large quantities. The USGS says around 20,000kt was produced last year, dispersed among several countries. Current reserves would last 40 years at this extraction rate, although resources are far larger. Low-carbon technologies are unlikely to be the only pressure on copper, although EVs and wind power do use large amounts of the metal compared to smartphones. One recent paper found total copper demand is likely to roughly quadruple by 2050. REEs such as neodymium are relatively abundant in the Earth’s crust, but difficult to find in concentrations that make them economic to mine. Extraction, which requires separating multiple different metals from a single deposit, is difficult and expensive. Around 130kt of rare-earth oxide (REO) were produced in 2017, the USGS says. Reserves sat at 120,000kt, or 923 years of current supply. The USGS did not given an estimate for resources, though other research suggests these are rising rapidly. Concerns over the supply of REEs tend to relate more to the concentration of production in China, rather than actual scarcity. However, resources are thought to be widespread, including in Europe, where most REEs were first discovered. The World Bank report points out that intra-technology choices, such as the choice between onshore and offshore wind or between different types of solar PV, could affect metal demand as much as the scale of generation. The demand for neodymium, for example, will be highly dependent on whether direct-drive wind turbines or geared models becomes more prevalent, it says. Direct-drive technology, generally used for offshore wind, uses neodymium in its permanent magnets. Geared technology, meanwhile, largely used for the onshore turbines which currently makes up the bulk of installed wind power, does not use permanent magnets. Demand for neodymium from wind will, therefore, be highly dependent on which of these technologies prevails and to what extent. Scaled-up deployment of low-carbon technology will mean that several countries find their natural resources in increasingly high demand. The map below shows the location of current production and reserves of three key metals needed for this transition: cobalt, lithium and REEs. Resources for each are substantially larger, as noted above. Production and reserves for three key metals in low-carbon technology: cobalt, lithium and rare earths (REEs). *Lithium production data for the US has been withheld by the USGS since only one company produced the metal in the US in 2017. **Data not available for Thailand’s rare earth reserves. Source: USGS Mineral Commodity Summaries 2018. As the top two maps show, the Democratic Republic of Congo (DRC) dominates the current production of cobalt. It supplied more than half (58%) of total production in 2017, and also has half of the world’s known terrestrial reserves. Russia, Australia and Canada also produce cobalt, although each represents less than 10% of world supplies. Australia also has significant reserves. Meanwhile, countries with a portion of the world’s 25,000kt of terrestrial cobalt resources include the DRC, Zambia, Australia, Cuba, Canada, Russia and the US. US resources are estimated at 1,000kt, nine times world production in 2017, although most are not currently economically extractable. Open pit copper mine, Santa Rita, New Mexico. Credit: Jim West / Alamy Stock Photo. Additionally, large cobalt resources equal to 1,000 years of current production have been identified on the floorbeds of the deep seas, largely outside territorial waters. The high seas are also thought to be rich in other essential metals used in electronics, such as manganese and gold. Some firms are hoping to explore for these undersea materials, arguing it is a good alternative to terrestrial mining and its associated impacts on local populations and landscapes. But others fear deep-sea mining could also have significant environmental consequences. Lithium occurs in small quantities throughout the Earth’s crust and seawater, but is produced by mining hard rock mineral deposits or extracting lithium salts where they are found in high enough concentrations in brine. As the middle maps above show, Australia and Chile are the key current suppliers of lithium. Lithium reserves are slightly more widespread than cobalt, the largest being in Chile, China and Australia. The so-called “lithium triangle” of Chile, Argentina, and Bolivia together boasts half of the world’s 53,000kt identified lithium resources, although Bolivia currently has little in the way of reserves. The US, which withholds its production data from the World Bank, is estimated to have lithium resources of 6,800kt, but limited reserves. China is by far the dominant force in REEs, supplying 80% of the 130kt produced last year, the USGS figures show. More is likely produced off the books. China holds around 44,000kt of rare earth reserves, around a third currently known reserves. It also dominates in the processing and supply chains of REEs. This has led some researchers to urge policymakers outside China to diversify their supply using new mining, which could take decades. The only current major REE producer outside of China, Lynas, operates its Mount Weld mine in Australia. Brazil, Vietnam and Russia all have significant reserves. The US, which has produced no REEs since its only mine filed for bankruptcy in 2015, has comparatively small reserves of 1,400kt. This is still equal to over 10 years of current worldwide production, however. And other countries could catch up with China. Just this week, researchers concluded that vast REE deposits discovered in 2013 off the coast of Japan could meet global demand of some elements on a “semi-infinite” basis. The spread of these so-called “strategic” metals, often in different places than those where fossil fuels are found, opens up interesting questions about how geopolitics will be affected by the rapid rise of clean technologies. A new set of countries will find their natural resources increasingly in demand, with all the pros and cons which accompany this demand. Some researchers have said an equivalent for renewables of the Organisation of the Petroleum Exporting Countries (OPEC) could be formed for these newly prominent material producers. Others argue that new international resource governance is needed to oversee responsible sourcing of minerals. There have been concerns over the prices of metals needed for low-carbon technology, with the price of cobalt, lithium and even copper on the rise in recent years, as the chart below shows (note the date ranges differ on each of these graphs, due to data availability). The price of cobalt has more than tripled over the past two years, while lithium prices have close to doubled. Global miners are already “reaping higher profits” from rising demand for lithium due to EVs, according to Bloomberg. As cobalt is mainly mined as a byproduct of copper and nickel, higher prices will not always stimulate new supply as they might in other commodity markets. Only around 1% of cobalt was mined from primary cobalt mines in 2016. The concentration of cobalt in the DRC has contributed to making it a resource of key concern to electric car manufacturers in recent years. As well as its high political instability, around a fifth of the DRC’s cobalt is drawn out by artisanal miners working with their hands, with documented cases of children doing this work. Indeed, schemes to trace “ethical cobalt” are emerging, while the Financial Times has reported some buyers paying premium prices for sustainable and traceable metal supplies. The DRC has also recently moved to increase taxes and royalties on cobalt and plans to designate it a “strategic metal” under the country’s new mining code, despite international mining firms lobbying hard against the new law. According to consultancy Wood Mackenzie, the law has “the potential to seriously affect mining projects under way in the country”. Companies such as Canadian firm First Cobalt are moving to increase production elsewhere in anticipation of a shortage. In contrast to cobalt as a single commodity, the prices of lithium-ion batteries have dropped steeply in recent years. Analysts at BNEF have calculated that even a quadrupling of lithium prices would push up the cost of battery packs by only 1.6%, with almost no impact on the price of an electric car. BNEF has also pointed out that battery packs will require less than 1% of the known reserves of lithium, nickel, manganese and copper up to 2030, and 4% of cobalt reserves. However, BNEF analysts have still warned that supply constraints for key materials could slow down a continuation of the battery cost declines seen in recent years. China’s dominance in rare earth production also furrows eyebrows in company boardrooms. Its move to restrict exports to Japan back in 2010 caused a rise in prices, clearly seen in the neodymium spot-price graph above, as well as concern over continued access to these metals. But prices dropped back down after a few years, as new mines were opened and the pressure to reduce and recycle REEs, or find replacements for them, decreased. 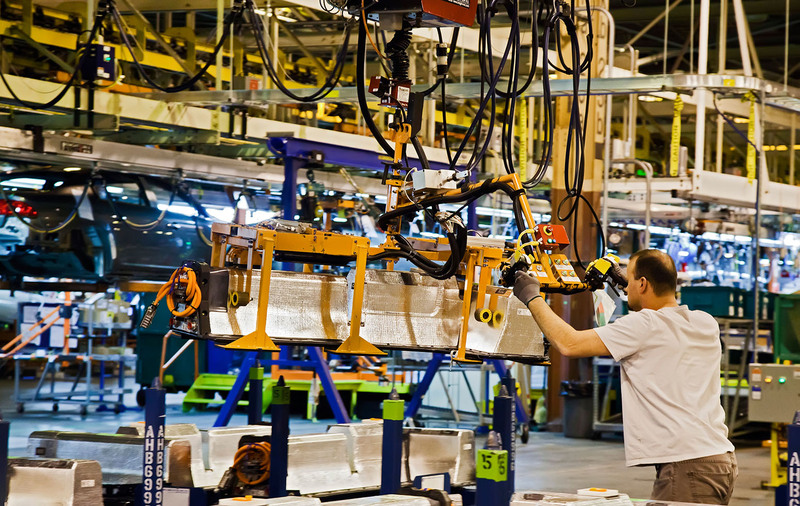 New projects in a number of countries are currently set to begin production in the coming decade. Clean energy expert Amory Lovins has argued this is “not how a durably scarce and valuable commodity behaves”, pointing to how the market responded by opening new mines and reducing or replacing REEs. Even if current reserves and resources of a metal are sufficient for the foreseeable future, shortages could still be possible. Similarly, speaking recently to the Times, Andrew Miller, analyst at data firm Benchmark Minerals, said that while there’s “no question of there not being enough [lithium] out there”, the question is if it will come in the time period Volkswagen or BMW need it. There is also the question of who controls supplies of key metals, which may not always be the same as the producer country and could have an impact on its availability to others. As well as China’s near-monopoly on rare earth production detailed above, for example, it also currently dominates the refining process of cobalt material, producing more than 80% of the cobalt salts needed for batteries. In 2016, seven of the 10 largest producers in the DRC were Chinese-owned. Canadian investment vehicle Cobalt 27, which has stockpiled the largest holding outside of China, argues concentrated production and reserves in the DRC and Chinese control over most cobalt output are the two key issues facing cobalt supply. Companies are increasingly making deals to ensure sufficient raw material supplies for their batteries. Just last month, Glencore, the world’s largest commodities trader, announced a deal to sell one third of its cobalt production to a major supplier to Chinese firm CATL, the largest battery firm in the world. Other firms, such as Apple, Tesla and Volkswagen, are also seeking to buy cobalt directly from producers. In a recent tender for five years’ worth of Cobalt, Volkswagen said a secure and sustainable supply of raw materials for the lithium-ion battery will be “the key factor to become e-mobility market leader”. More mining is not the only way to meet demand for metals. There is rising interest in the EU and elsewhere in recycling the million of tonnes of valuable materials discarded annually in high-tech products, for example. One analysis found recycling could meet 9% of global lithium demand by 2025. Some researchers even advocate novel techniques, such as “urban” biomining to extract rare earths from electronic wastes using microorganisms. Meanwhile, some companies are looking into reducing the cobalt content of batteries by increasing the nickel content. Replacements are also being researched, such as the use of sodium and magnesium in place of lithium, or alternative batteries based on graphene, hydrogen fuel cells, or even water and table salt. BNEF has said new battery chemistries will probably shift to different source materials after 2030. Traditional commodities face significant challenges. Global copper ore quality is declining over time, for example, meaning copper mining requires excavating twice as much ore as 10 years ago to yield the same amount of copper. This means more mine waste and greenhouse gas emissions, although research has shown a shift to other available technologies and more efficient processes could go some way to addressing this impact. Kipushi Mine gallery, Katanga, Democratic Republic of Congo. Credit: Universal Images Group North America LLC / DeAgostini / Alamy Stock Photo. Abraham’s book points out that the impact of extracting metals, such as cobalt and REEs, is far higher than traditional commodities in per tonne terms, due to the amount of chemicals and energy needed to refine them. One recent study estimating the greenhouse gas (GHG) emissions from the production of lithium-ion batteries in China found around a 30% increase in GHG emissions from vehicle production compared with conventional vehicles, mainly due to the production of the cathode materials and wrought aluminum. But the authors also noted significant potential to lower this impact, with emissions already three times lower for US-made batteries. Similarly, an assessment of lithium-ion batteries released by the Swedish Environmental Research Institute last year found GHG emissions from battery production were largely due to the manufacturing process, while mining and refining had a relatively small impact on the life cycle. The study said more efficient production and increasing use of low-carbon electricity would, therefore, likely be the best short-term improvement. Overall, the lower emissions from running EVs compared to conventional vehicles have been found to more than balance out the higher emissions from their production, even with today’s US electricity mix. Meanwhile, a 2015 UNEP report found “cradle-to-grave” GHG emissions of clean-energy sources are commonly 90-99% lower than for coal power. The report found wind, solar PV, concentrated solar-thermal, hydro and geothermal power all generated less than 50g of CO2 equivalent per kilowatt hour (gCO2e/kWh). Environmental impacts of different ways of mining can vary. Lithium production from hard mineral ore, for example, uses large amounts of energy and chemicals and involves significant land clearing. Production from brine ponds, where water is evaporated from high-lithium salty groundwater, is thought by some researchers to be preferable environmentally, but it still uses large amounts of water and toxic chemicals, which can pose risks to water supply. Mining accidents and spillages can also pose threats to local communities, who may in turn oppose mines if they believe their health and environment is at risk. Speaking to Carbon Brief at the Oxford materials conference last year, Jennifer Broadhurst, associate professor with the minerals to metals initiative at the University of Cape Town, said mining communities are increasingly starting to associate mining with hardship. This has led them in some cases to reject new mining ventures and disrupt operations already in existence, she said. Some national governments are starting to respond to these concerns by instituting more stringent legislative measures, she added. Technology | July 7. 2017. Technology | February 2. 2016. Technology | May 5. 2018. Technology | April 4. 2012.